Pilot error may be cause of horrific helicopter crash – J.
JERUSALEM — Investigators are leaning toward human error as the possible cause of last week's air disaster in northern Israel. As Israel continued to bury the 73 soldiers and crew killed in the mid-air collision of two military helicopters, members of the investigating commission, led by David Ivry, former Defense Ministry director general, visited the crash site at Moshav Sha'ar Yishuv. An air force official said the two helicopters were hovering over the moshav while awaiting clearance to cross the Lebanese border to take the soldiers to the security zone in southern Lebanon. Defense Minister Yitzhak Mordechai, speaking at a briefing this week, said weather and technical difficulty had been ruled out as possible causes of the worst air crash in Israel's history. Funerals for 35 servicemen were held Thursday of last week in cemeteries across the country. Twenty-five were buried the previous day. Nine of the crash victims were buried Friday. Funerals have not yet been scheduled for four soldiers, whose remains have not yet been positively identified, but who were on the list of those who boarded the helicopters. A national day of mourning was observed Thursday of last week. Schools across the country held special assemblies to help students deal with their grief. In Jerusalem, thousands responded to a call from Israel's chief rabbis, and filled the Western Wall plaza to recite Psalms and pray for the lost lives. Knesset members and other government officials attended funerals across the country. Prime Minister Benjamin Netanyahu took part in the funeral of Staff Sgt. Yonatan Amedi at the Mount Herzl military cemetery in Jerusalem. Amedi, 20, who lived in Ma'ale Adumim, outside the capital, was named after Netanyahu's older brother, Yonatan, who was killed in the 1976 Entebbe rescue raid in Uganda. The premier said both his brother and Amedi gave their lives for their country. He pledged to do his utmost to bring about peace and ensure the future of the country. President Ezer Weizman visited the bereaved families. Earlier this week, the president urged Israelis to be patient in waiting for the conclusions of the team investigating the crash. While the exact cause of the crash is not yet known, the U.S.-built Sikorsky helicopters involved have a solid and long track record. The CH-53, the biggest helicopter in the West, has been in the Israel Air Force since 1969. Called a "Mack Truck" because of its size by pilots, it can transport up to 65 passengers and a crew of two pilots and a mechanic. Months after the first Yasur, the Hebrew name of the CH-53, arrived in Israel, the chopper started earning a reputation for excellence. In December 1969, two Yasur helicopters slipped deep into Egypt and carried off an entire Soviet radar station at Ras Arub. The transport helicopter was used extensively during the 1973 Yom Kippur War and 1982 Lebanon War. Today, the Israeli air force has 42 such helicopters, according to the Middle East Military Balance of Tel Aviv University's Jaffee Center or Strategic Studies. Many who have flown the Yasur say the weakest element in the helicopter is the pilot. 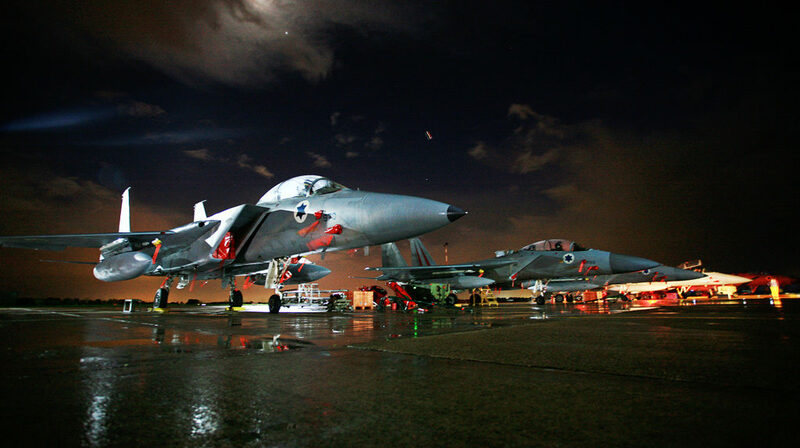 Israeli pilots must undergo five tough years of training before they can handle one. The most important traits for a Yasur pilot, veterans say, are maturity and common sense. "The requirement is for a pilot to do several things at the same time under changing conditions," says reserves Lt.-Col. Ofer Ben-Peretz, a former Yasur squadron commander. "This is the difference between a military flight and a civilian flight, the latter of which deals with the expected." Pilots say the Yasur is unstoppable under any condition. The helicopter, particularly the upgraded Yasur 2000, is equipped with state-of-the-art avionics, armor and radar that allow it to fly in virtually any weather. Pilots say that the helicopter is virtually problem-free. A Yasur pilot could face many challenges. Transporting troops into enemy territory means the Yasur's two pilots have to ensure they're on the right flight path and altitude, detect anti-aircraft fire and spot a landing target. In poor weather, the biggest danger to a pilot is vertigo, where he is so dizzy that he is unable to determine his position. At that point, the pilot must rely on his instruments and resist the instinct to steer the huge helicopter out of any imagined danger. "Vertigo happened to me. It happens to many of us," said Yigal, a former pilot who did not want his full name used. "It's an important part of flying and the question is how fast can you recover from it."